Following a reported spike of cases in the U.S. this year, it has been revealed that more than two dozen Canadian children are also believed to have developed a rare and mysterious paralyzing illness known as acute flaccid myelitis (AFM). Health officials, however, still do not know what causes the polio-like condition. “To date in 2018, 25 probable cases and 5 confirmed cases of sudden onset muscle weakness in children have been reported,” Public Health Agency of Canada (PHAC) spokesperson Anna Maddison told CTV News in a written statement. All of those children are under the age of 15. “Currently, the surveillance data do not indicate an increase in the number of potential cases in Canada,” Maddison said. 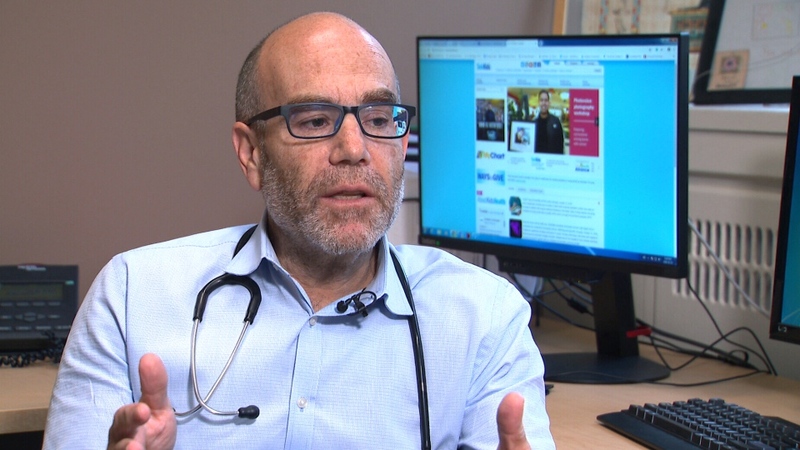 Dr. Jeremy Friedman, pediatrician-in-chief at Toronto’s Hospital for Sick Children, however, says he has seen about a dozen confirmed cases since the beginning of September. That’s up from an average of one or two cases per year at the hospital. This year, other AFM cases have been reported in Montreal, Ottawa, London, Ont. and the western provinces. 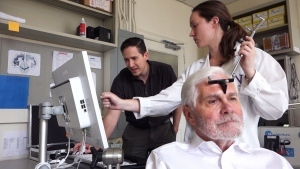 “Unanswered questions are always unsettling,” Dr. Friedman said. AFM, the CDC explains, affects the spinal cord and nervous system and leads to polio-like symptoms -- such as muscle weakness or paralysis in the face, neck, back, arms or legs -- approximately one week after a fever and respiratory illness. According to the CDC, approximately 90 per cent of those affected in the U.S. are children under the age of 18. Their average age is four. Most, the CDC says, fully recover. The CDC has documented a significant spike in cases this year. So far in 2018, there have been 62 confirmed cases in 22 U.S. states while 93 more potential cases are currently under investigation. There has also been one death. The illness, CDC data also shows, appears to occur in biennial waves. In 2017, for example, there were only 33 confirmed AFM cases in the U.S. while in 2016 there were 149. Reported cases tend to spike in August and September. Similar historic data is not available in Canada. "This is a mystery so far," she said, according to The Associated Press. The CDC believes that AFM is linked to a virus. So far, the poliovirus and the West Nile virus have both been ruled out. Enteroviruses -- which are a genus of predominantly respiratory germs -- are a potential culprit, though they have not been present in all documented AFM cases. In Montreal, there have been six recent confirmed AFM cases. One of those involves four-year-old Genevieve Blais of Gatineau, Que., who is currently receiving treatment at the Montreal Children's Hospital. 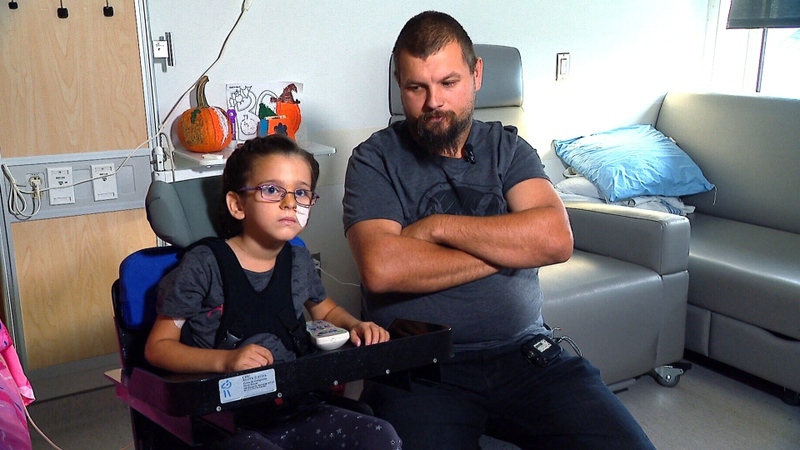 “It started with a headache,” her father, Nicolas Blais, told CTV News from the hospital as Genevieve sat harnessed to a chair beside him. 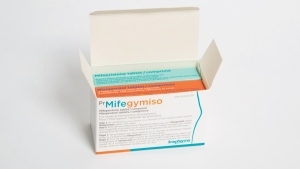 When Genevieve developed a fever soon after, she was taken to hospital where she received antibiotics. The once-active girl is now in hospital, “paralyzed from head to toe,” according to her father. She spends much of the day on a ventilator and improvements have been slight. The experience, he added, has been incredibly frightening. Dr. Christos Karatzios from the hospital’s division of infectious diseases is part of the team overseeing Genevieve’s care. According to Dr. Friedman in Toronto, Canada experienced a similar “cluster” of AFM cases in 2014. “While there was improvement in most of those cases, there were a few cases where children were left with permanent neurological disabilities,” he said. Dr. Friedman adds that there continues to be a “spectrum” of treatment outcomes. As scientists work to learn the cause of AFM, the PHAC is urging Canadians to take the same precautions they do during cold and flu season, such as regularly washing their hands and sterilizing common surfaces and objects. With files from CTV News Medical Correspondent Avis Favro and Producer Elizabeth St. Philip, CTV News Montreal Bureau Chief Genevieve Beauchemin, The Canadian Press and The Associated Press. Four-year-old Genevieve Blais is currently being treated for acute flaccid myelitis at the Montreal Children's Hospital. She is pictured with her father, Nicolas Blais. (CTV News) , who is currently receiving treatment at the Montreal Children's Hospital.